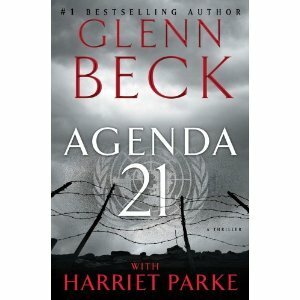 Coincident to the note below, Glenn Beck’s new book AGENDA 21 hits the bookshelves this week. It is a chilling story of what our lives will be like if the UN and our government at the local, state, and federal levels succeed in implementing the One World Order that Agenda 21 is intended to facilitate. Please read what you can do this Black Friday, the day after Thanksgiving. This is a 2 part plan. The first part is a letter to the editor of your local Newspaper. A sample of the letter that is being used is below. Just add your County, copy and paste and send it. Print the Tom Deweese tri fold and hit the mall on black Friday, give it to everyone you can. In fact this will work that whole weekend. The Trifold is attached to this email, just print 1 sheet of paper on both sides, fold and your ready to go. WHY IS EVERYONE TALKING ABOUT UN AGENDA 21? UN Agenda 21/Sustainable Development is the action plan to inventory and control all land, all water, all minerals, all plants, all animals, all construction, all means of production, all information, all energy, and all human beings in the world. Have you wondered where these terms “sustainability” and “smart growth” and “high density urban mixed-use development” came from? Doesn’t it seem like about 10 years ago you’d never heard of them and now everything seems to include these concepts? Is that just a coincidence? That every town and county and state and nation in the world would be changing their land use/planning codes and government policies to align themselves with…what? Far from being a “conspiracy theory” or a “tin-foil hat” fantasy, this is an actual United Nations plan, signed onto in 1992 by President George HW Bush along with 178 other world leaders. The UN called it Agenda 21 because it is the Agenda for the 21st century. According to UN Secretary General Maurice Strong, the“affluent middle-class American lifestyle is unsustainable.” That includes single family homes, private vehicles, appliances, air-conditioning, dams, farming and meat-eating. They are a threat to the planet. This might sound like a silly plan that doesn’t affect you. But look around. This economic collapse is UN Agenda 21. You’ll hear that this plan is non-binding, that it’s a dusty old plan with no teeth. That is a lie. In fact over the last 20 years this plan has been implemented all over the United States. It’s called Sustainable Development. The 3 E’s: ecology, economy, equity. After George Bush signed it in 1992, it was brought back to the US by President Clinton (1993) when he created the President’s Council on Sustainable Development for the sole purpose of getting it into every city, county, and state in the US through federal rules, regulations, and grants. This is a global plan but is implemented locally. You’ll see it in our regional plans. and in our Taylor County Vision 2060 plan. They call for stack and pack housing, restricted mobility, and regional government. Domestic surveillance, smart meters, GMO’s, loss of freedom—all UN Agenda 21/Sustainable Development. You are losing your rights. WHAT’S WRONG WITH SUSTAINABLE DEVELOPMENT? How could something that sounds so good be bad? Who wouldn’t want to be sustainable? Vibrant? Walkable? Bikeable? Green? These buzz words were designed to make you think that you’re doing something good for the planet. This is the biggest public relations scam in the history of the world. Sustainable Development was created and defined by the United Nations in 1987. Clinton began to implement it in the US in 1993 by giving the American Planning Association a multi-million dollar grant to write a land use legislative blueprint for every municipality in the US. It is called Growing Smart Legislative Guidebook with Model Statutes for Planning and the Management of Change. This was completed in 2002 and is being used to train planners in every university, college and government planning office in the nation. Growing Smart is Smart Growth. Growing Smart is in our planning department and its principles are in our city and county plan. Right now. Beside this is The Local Agenda 21 Planning Guide put out by ICLEI and the United Nations. Groups like the National Association of Counties and the Florida Association of Counties are promoting Agenda21/Sustainable Development. Our county is continuing to fund these groups. Urban areas are being consolidated and rural areas are gradually being emptied of people through restrictive land use policies, gasoline costs, vehicle miles traveled, taxes, loss of rural road maintenance, closure of rural schools, closure of rural post offices, water well monitoring, smart meters, and regionalization pressures. Smart Growth, livable communities and comprehensive/vision plans are not just the preferred building style for UN Agenda 21/Sustainable Development; it is the ideology. Moving people into centralized urban areas in high density housing creates the perfect opportunity for domestic surveillance. This ideology is being used as the justification to radically change every city in the United States and to impose regulations dictated by unelected regional boards and commissions. It is remaking government. This dramatic revolution in private property rights extends to every facet of our lives: education, energy, food, housing and transportation. We are being told that this is OUR PLAN but it is not. We object to this manipulation and refuse to be subjected to it. Educate yourself. Speak out. BE the Resistance. Google “Agenda 21 for Public Officials” ( http://www.youtube.com/watch?feature=player_detailpage&v=fFIcZkEzc8I) for a short video presentation. My grandfather was among the first to hit Omaha Beach at Normandy, he carried his M1 Garand and later M1911A1 from there all the way to Buchenwald Concentration camp. He fought against people with ideas like these to put them down and make the world a better place.